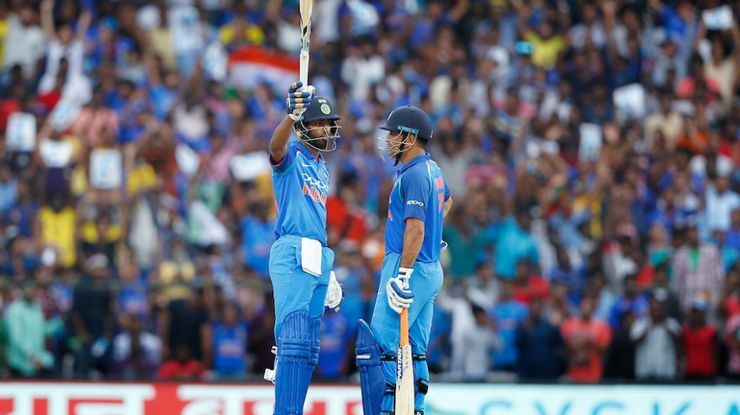 Dubai: After an emphatic 73-run victory over South Africa, Team India leapfrogged the Proteas to claim the number one spot in the ICC ODI Team Rankings on Wednesday.India had entered the six-match series in second position on 119 points, two points behind leaders South Africa. However, after taking a 4-1 lead, India moved to 122 points, while South Africa dropped to 118 points. An official statement from the world cricket governing body said, "India have cemented their number-one ranking in the MRF Tyres ICC ODI Team Rankings after victory in Tuesday’s match in Port Elizabeth, which confirmed that they will finish the series on top of the table irrespective of how the final match in Centurion pans out." Even if South Africa wins the last match, scheduled to be held on Friday, the men in blue will remain No1 on 121 points, while South Africa will end on 119 points. In contrast, if India wins the series 5-1, then they will finish on 123 points, while South Africa will end on 117 points. On the other hand, Afghanistan also moved ahead of Zimbabwe in 10th spot after winning the third ODI in Sharjah on Tuesday and to hold on to this place, the war-torn nation will have to win the series, which culminates on February 19.